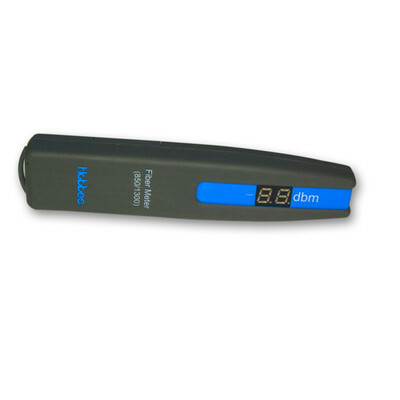 The Infrared Fiber Tester Pro is primarily used for checking the signal output power of the optical communication equipment in fiber optical networks. It measures the average power of a continuous light beam which emits from the equipment or other optic sources. interface on the Infrared Fiber Tester Pro, or they can connect to other light source. The product will show the exact amount of the received power value (in-dBm). The test ranges are 30dBm~ -15dBm in wavelength.